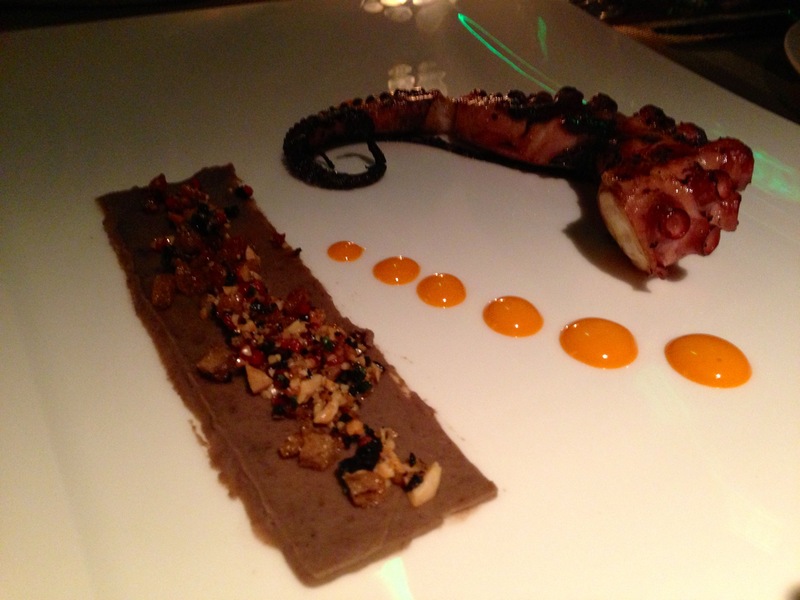 exciting picture, most so because i LOVE to eat grilled pulpo…. Woah, that looks fascinating, was it good? Will it be a crime if I said I ate Octopus once. . .and it was good? Love the taste of octopus! Reblogged this on sharing with me. Reblogged this on See My Hell. It looks amazing! Help me out though…what is to the left of the octopus past the orange dots and where did you enjoy such a feast? That looks unreal and scrum-cious at the same time. Awesome … I’m hungry! Jo, men tacka för att man blir förbannat hungrig när man ser en sån bild. Det är det absolut sämsta med mitt liv i Kirseberg, att varenda närstående rynkar på näsan åt mina bläckfiskkreationer. Har faktiskt lagt ner dem numera. . . Meddetirranean, her I come! . .så småningom. well i’ve never got close to eating that..still mouth is watering?? wonder of food or art of click!?? That looks gorgeous! … Aaaand now I’m hungry. Ohhh! He he…i thought it was a lizard at first…Lol. With ouzo !!! This is a traditional greek snack!! !